It’s the thought that counts, right? When your mom bought you that Notre Dame Snuggie for Christmas, simply because you mentioned watching a Fighting Irish game once in November, you accepted it because she put thought into the gift. The idiom is true on a broader scale, as well. Hybrid icing was instituted by the NHL to open the 2013-14 season in order to protect its players from harmful injuries, which have been suffered through the years. The injuries, although a low percentage over the course of past seasons, have been severe. Former Washington Capitals forward Pat Peake broke his right calcaneus bone in 14 separate places after a race to beat out an icing in April 1996. He played in just five more NHL contests before retiring. Kurtis Foster, Joni Pitkanen and Brandon Prust have all been bitten by the injury bug after an icing race. It was an epidemic that the NHL had to resolve. Hybrid icing seemed like the answer. Although the rule change was approved by the NHLPA, some players voiced concern. One team, the New Jersey Devils, even unanimously voted against it. The Devils weren’t alone. It was reported shortly after that the St. Louis Blues voted 20-3 against hybrid icing, as well. Fast forward 22 months since the rule’s inception, and there are still reasons to be skeptical. Constantly, coaches, players and fans alike are barking about a misjudged hybrid icing call (usually called against the team attempting to play offense). Linesmen, who are already tasked with tedious responsibilities like offsides and watching for potential too many men on the ice penalties, now have the burden of making this difficult judgment call on a regular basis – as if deciding whether a defensive clear didn’t constitute icing wasn’t asking enough. #CapitalsTalk Caps LW Jason Chimera on hybrid icing: 'I hate it.' Many of his teammates agree and believe it will get voted down. It’s easy to scream at your television set and blame the officials for the blown call, but let’s remember that the rule itself is absurd in nature. Most of the linesmen are still seeing this as a new rule; they grew in their positions with either standard icing or no-touch icing (European and international leagues). Learning the new rule and calling it fairly can be just as difficult as properly waiving off a high-stick goal without replay. 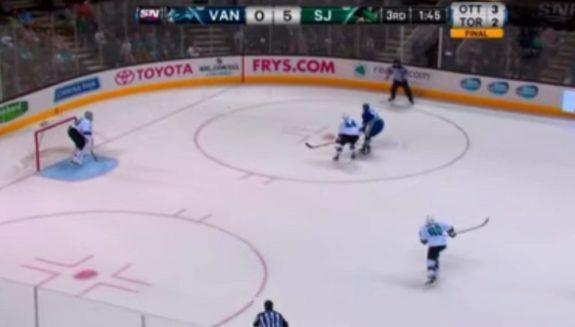 As you can clearly see by the following video still, Vancouver Canucks forward Tom Sestito had body position on San Jose Sharks defenseman Marc-Edouard Vlasic for the loose puck. But, because it is difficult for linesmen to truly judge body position, the call went in favor of the Sharks. This was an example of a poor call before the rule was even instituted into regular season play; let’s take a look at one that occurred in a game that counts in the standings. On Oct. 17, 2013, the Sharks and Dallas Stars were in a heated 3-3 contest with just over six minutes remaining in regulation. The Stars were on the offensive and the Sharks could sense their opponents taking control of the game. The Stars defenseman banked the puck off the near wall in hopes of teammate Ryan Garbutt gathering his pass. Instead, the pass was slightly ahead of Garbutt, forcing a race for the puck between the Dallas forward and Sharks defenseman Jason Demers. Garbutt was skating long strides, but pulled back once the whistle blew. This was more of a grey area than the previous video, as Demers could have easily beaten Garbutt to the puck to validate icing. However, if you watch the video carefully, Demers seemed to let up before Garbutt, taking body position on the player and not the puck to shield him from cutting to the net. If Garbutt had received the puck, he would have had a chance to slide the puck in front to a waiting Vernon Fiddler, who appeared to have a clear path to the net. These are a lot of what ifs – the Stars also won 4-3 in the shootout, so all’s well that ends well – but this negated an opportunity for Dallas to sit in the driver’s seat with little time left on the clock. Unfortunately, more examples of hybrid icing are not available, despite it being the media age of 2015. After the first few months, hybrid icing seemed to fall into the puck-over-the-glass category – a rule that is hated by many but becomes a part of the game. You just have to accept it. It can be a nuisance, an annoyance, a questionable stoppage … and an extremely preventative measure to injury. The best example on the internet, again at the beginning of the 2013-14 season, came on Oct. 21 when Detroit Red Wings defenseman Kyle Quincey and Sharks forward Tyler Kennedy raced for a loose puck entering the Detroit defensive zone. You can clearly see that Quincey had a leg up on Kennedy in the race for the puck. With the Sharks forward in hot pursuit, Quincey could have been the subject of a bone-crunching hit into the boards. Kennedy may have let up, but that is a risk the NHL and its officials are not willing to take. In this case, the defenseman skated after the whistle like it was any other play. Three years ago, this may not have been the case. Note: the fact that all exhibits included the Sharks was a complete coincidence. In a complete anomaly of case studying, the only hybrid-icing videos that exist on the internet derive from Sharks games. We have heard from the players. We looked into instances where hybrid icing has caused stoppages when they may not have occurred otherwise. However, we have not forgotten the reason the rule was born just a few summers ago. 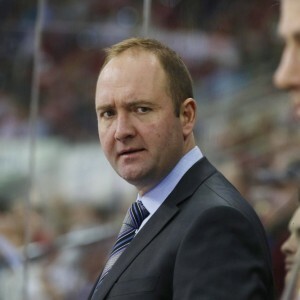 So how can the league remove the rule, but keep the players, like Quincey, safe on those puck races? Sometimes the easiest answer is the best one. Following international hockey’s standards, no-touch icing may be the way to go. It eliminates some judgment calls for officials, yet keeps the players safe from career-threatening injuries. 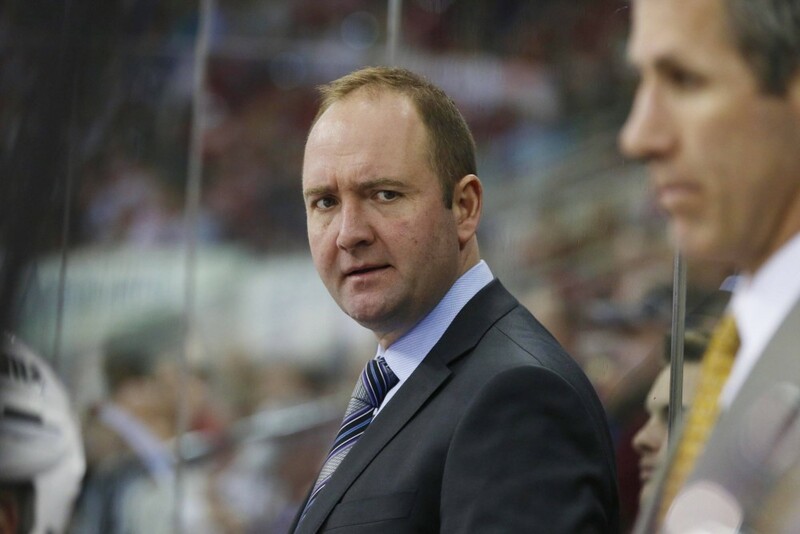 When the rule was first instilled, then-Devils coach and current Sharks bench boss Peter DeBoer hit the nail on the head with his assessment. When the discussion began, I hated the idea of removing standard icing. I thought that the amount of injuries were so sparse and infrequent that it was not worth ousting an exhilarating part of the game. I wanted no-touch-icing advocates and hybrid-icing promoters to disappear faster than Tuukka Rask after a shootout loss. The reality is that no-touch icing is a much better alternative to hybrid icing. Not only does it have all the same positives as hybrid icing, no-touch icing can be beneficial to the offensive team. If there is 20 seconds remaining on the clock when the defensive team shoots the puck down the ice, the near-instant whistle may provide the offensive team with 17-18 seconds remaining in regulation. With hybrid icing, since someone would have to skate down the ice to arrive at the faceoff dots, there could be 15-16 seconds remaining on the game clock. Anyone who watches or plays the game knows that a lot can happen in those extra two seconds the offensive team would receive. With rule changes seeming to take place every offseason, this is one that should be on the docket for 2016-17. It already received backlash at its institution and it has created more opportunities for players and coaches to argue with officials ever since. In closing, thank you NHL for the gracious gift of safety to all 30 teams and their players. However, this is a gift that should be exchanged for a revised and superior product. Do you agree or disagree? Feel free to comment below or message me on Twitter @jponder94.